Off her debut mixtape "Dun Dem Season - The Trilogy", UK female dancehall artist - Lady Chann has released the video to her song "Feel Calm". Which has a special remix from Toddla T (listen here). 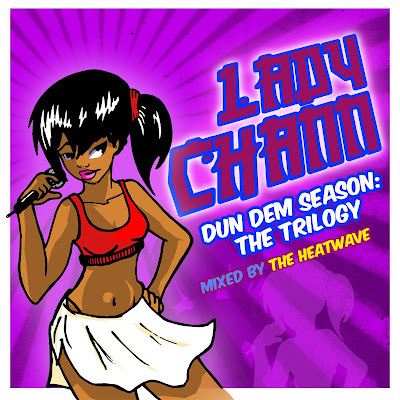 "Dun Dem Season" was released in October of this year (available for download here) - the mixtape features guest appearances from: Glamma Kid, Gappy Ranx and Lemar; as well as production work from Suncycle and Sticky to name a few.